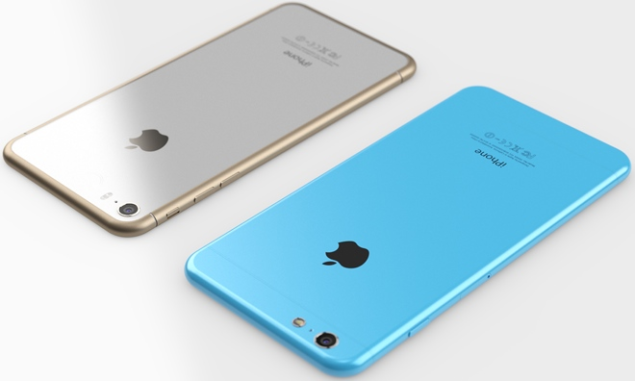 The iPhone 6c is one Apple product that just refuses to die out of the rumor mill. Perhaps its because f the fact that many users are still looking for a 4 inch smartphone from Apple, or would rather with to have latest generation Apple devices at a more modest cost. Whatever the case may be, the iPhone 6c is still alive and kicking in the rumor mill and today we have some information that allegedly comes directly from Apple’s Chinese partner, Foxconn. Even though we’ve seen evidence to the contrary so far, today some alleged Foxconn insiders have spoken up about Apple’s plans for what might be the iPhone 6c. According to the Chinese, Apple’s manufacturing partner has started to stock up on some new products, which may either be the iPhone 6c or the upcoming iPad. This product will start selling in November, and judging by the current trend of leaks taking place around Apple’s products, it might be more about the iPad Mini 4, rather than the iPhone 6c. After all, Apple does need to incentivize its customers to purchase the iPhone 6s duo coming this September and launching an upgraded iPhone with similar specs as last year’s launch, with a lesser price to boot, might make some wait for the device’s generational upgrade which should come next year. And plus, the iPad Mini series is long overdue an upgrade, since Apple basically just re-launched the iPad Mini 2 last year. In addition, we’ve already seen product identifiers w.r.t to the upcoming iPhone 6s duo pop up similar to last year’s launch and there’s been no mention of the iPhone 6c there either. But whatever the case may be, a smaller iPhone definitely does seem to be on the cards, whether for this year or for the next. Stay tuned and let us know what you think in the comments section below.